Choosing of tires is paid of much attention. 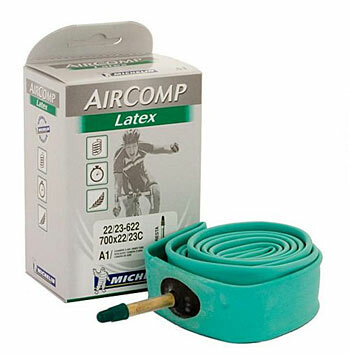 At the same time it often said (especially for road bikes), that 80% of the efforts goes to the air resistance. How significant then the dependence of the quality of tires? At first we need to clarify a few points related to the rolling resistance and compromises in the design of tires. Under the friction in everyday life is usually defined “Sliding friction force”. This is when the object slides over the surface. 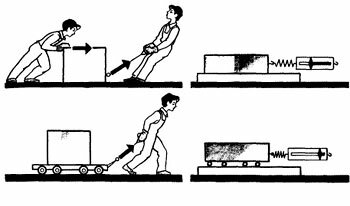 The friction force is proportional to the weight of the object and the coefficient of sliding friction. That is, the heavier the object, the harder it is to move, the less coeff. friction, the easier it is to move. From here we take an important point: coeff. friction depends on the specific pair object-surface and on conditions therebetween (lubricant, dust, humidity). That is, for example, it’s impossible to take from reference book coeff. friction for situation “brick on an inclined board”, it all depends on what kind of bricks, boards and is this happening in the rain or indoors. The strength of rolling friction when a round object (wheel, sphere, cylinder) rolling over the surface formally (that is at the level of the formula) the same: the multiplication of coeff. 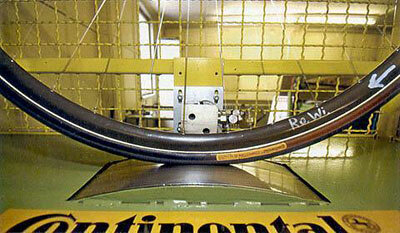 rolling resistance and weight. Here the resemblance ends. For example, coeff. sliding friction can be reduced by grease. But if well lubricate tire, it generally will not roll. That is a necessary condition for use of rolling friction is a 100% grip. Exact opposite to the sliding friction when at the clutch of 100% slip will not come at all, will only be force of static friction. An important addition to this one is that the tires still have to absorb, take over some bumps in interaction with road. And it is also has a strong effect to rolling, that is to the real coeff. of rolling resistance. Unfortunately, here too a clash of contradictions and it is not decided. Quite often you can find the advice that you need to pump up the tires to the maximum possible pressure to reduce the losses for deformation of tires, as well as to reduce the “contact patch”. This is consistent with laboratory measurements coeff. rolling friction when the wheel is pressed against the drum torque. But you can meet opposing arguments that wide tires roll better, because the contact patch more round, and to pump, especially on poor road surfaces should be contrary to a minimum. And from these intricate reasoning, fortunately follows only two specific outputs. Firstly, the need to pump up to the optimum pressure, not the minimum or maximum. 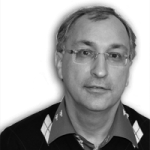 Laboratory measurements should be used with caution (see how below it). About optimal pressure there are a few notes and calculators on this site. 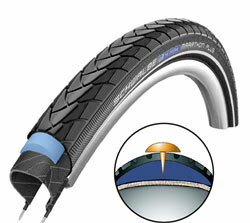 Secondly, the more flexible side wall of the tire, the less effort is spent on the necessary deformation. Manufacturers are well aware (which is not surprising), bringing it to the parameter TPI (the number of threads per inch). Typically, the higher TPI, the tire is more expensive and better. TPI is the number of cords, which is reinforced rubber in tires. But it is important not to even number, but that the more threads, the thinner each of them and so more elastic is sidewall. 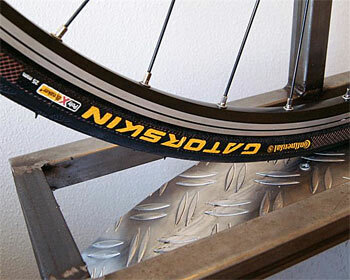 When choosing tires for road bike, I was only interested in a puncture-resistant properties. Before that, we pretty much ride mountain bike on the road, and after the MTB slick tires and wheels of road bike looked like something not serious, and raises concerns about the frequent punctures. These concerns were consistent to impressions from cycling forums. Usually for each brevet at least 2 stories with punctures. 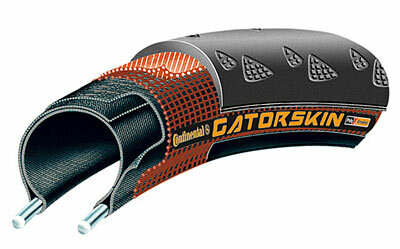 According to reviews, the best “bullet-proof” tires with more or less reasonably light weight were Continental Gatorskin. I bought it. Looks like for a long time, as it turned out that in addition to the high puncture-protection, they do not wear out 🙂 In two seasons on two bikes we had three punctures, but I must admit they all were like “snake bite” so that is associated with inadequate pumping, and not to puncture properties of the tire. Rolling properties of tire became a little interest for me only in this season, when I wanted to go 200 km brevets in less then 7 hours. To do this, in my case all the means to increase the average speed for 1 km/h are good 🙂 How much brake me Gatorskin? 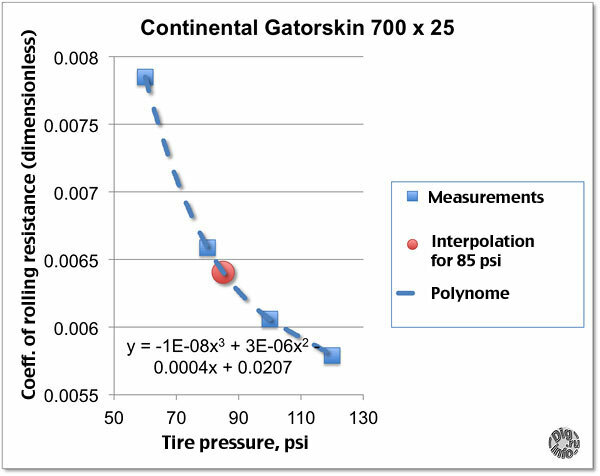 From a fairly impressive list of tires that were measured in the lab I chose those that follow just after Gatorskinof for puncture resistance properties . And in the end for a range of tires added to best measured rolling in the laboratory. It is evident that in spite of the small up&downs, tires with less “laboratory” coeff. of rolling resistance give a significant increment of average speed up to 1.3 km/h. However, by reducing the puncture resistance properties as can be seen from the table, and at the expense of longevity (this is not visible in table, but the compound is in “competition” tires generally softer). 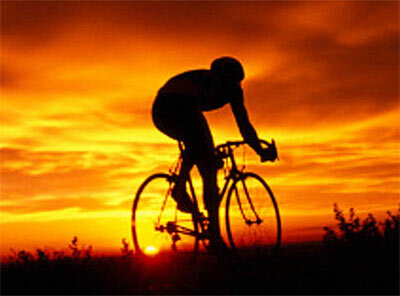 Or one can follow the standard way to put stronger tires for training runs, and good rolling for competition. Calculations show that it is justified.